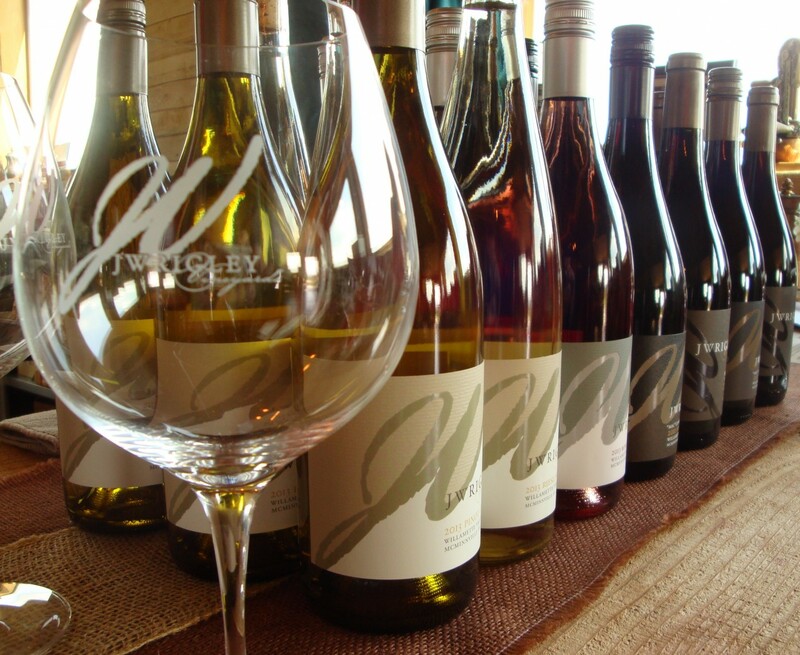 Tasting Pour recently had the opportunity to explore J Wrigley Vineyards in the McMinnville AVA. It was a rare chance to see first hand the variation in the vineyard soils and the ancient formations that created them. Our tour guide happened to be the person who knows this vineyard site the best – Owner, Winemaker and Vineyard Manager John Wrigley. “You can find row to row variability in our vineyard blocks,” explains John. Because of the different clones that are planted and the different soil types, the wines have broad, complex flavor profiles. In Burgundy wines are classified “Grand Cru” or “Premier Cru” according to the vineyard spot where the grapes were grown. We do mean spot. There can be a few rows of “Grand” adjacent to a few rows of “Premier.” It seems a little over the top until you see for yourself. The sites actually look different. The sun hits at a different angle, the elevations are varied, and there are striking differences in the soil visible from the valleys below. A trip with John to the quarry on his site afforded a similar visual. 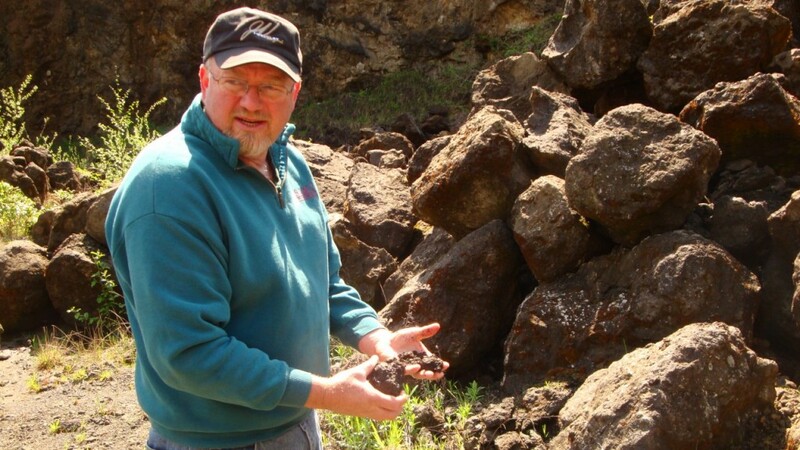 John explains how the formations provide the parent material for the volcanic and sedimentary vineyard soils. Riding around on the property John stops to show a particularly distinctive transition from Jory to Peavine. He has an intimate knowledge of the transitions in soil and undulations and plants accordingly. When we emerged from the car midday it was obviously cooler than the valley. 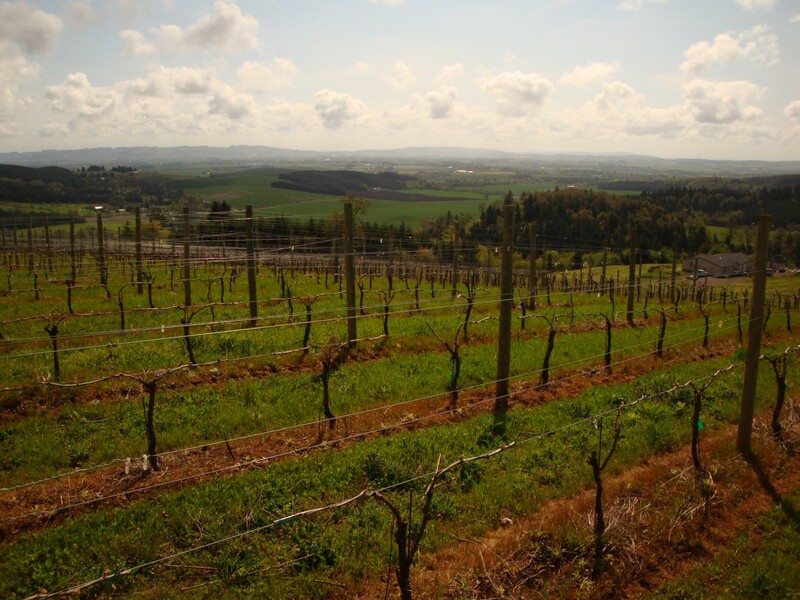 J Wrigley is very far west in the McMinnville AVA and has plantings at high elevations. Coastal breezes coming through the Van Duzer Corridor plus vineyard land above the tree line create a cool microclimate. Some people told John it was too cool to grow wine grapes up here. John had walked every bit of the property. He explains the poison oak and mint he found serve as “the canary in the cave” indicator that grapes will grow. He knew this was where he wanted to be. The cool breeze works with the warming sun to ultimately create wines with a balance of body and crisp acidity. It is John’s job as vineyard manager and winemaker to combine plants, site location and soil in the vineyard – and juice in the lab – to produce the best wines possible. His Mac Cuvee (a blend of McMinnville AVA Pinot Noir) is fruit forward and approachable – the perfect fireside bottle for visiting with friends. The Estate Pinot Noir (exclusively J Wrigley vineyard fruit) is more complex and the 2011 and 2012 each reflect their vintages. The 2011 was the first estate Pinot Noir bottling and is marked with floral flavors and red fruit. The 2012 presents darker fruit and earthy, smoky aromas. The 2013 Pinot Gris is one of our all time favorite renditions of this varietal. It is a midway point between the typical Pinot Gris that are super fruity and floral and the more austere Pinot Grigio of Northern Italy. Shy on the nose, it opens to a dry medium bodied wine with hints of peach, a definite current of minerality, and a long fresh finish. J Wrigley also produces a very inviting rose of Pinot Noir and will soon release Mae’s Riesling, named for John’s grandmother. Chardonnay is in the works. We predict there are some exciting, well made wines to come from this relatively young winery and their interesting mix of terroir. Click here for purchasing information. Join #winechat Wednesday April 23rd, 6 p.m. PST to hear more from John Wrigley.